In his moments of quiet introspection, I believe former President Barack Obama struggles with the knowledge of what he has unleashed – completely unintended — on his fellow African Americans catching hell, causing him moments of unease that he should not rightfully have to be burdened with. History will bestow upon him the unimpeachable honor of being the nation’s first Black president, an unparalleled achievement that many thought they would never see in their lifetime. Because of his presidency, millions of Blacks, alive and yet to be born, will be informed by the knowledge that no matter how bleak their circumstances may be, they, too can rise above them and achieve greatness. But there is a downside to this glorious splendor, and we have witnessed it since Obama left office in 2017, and rest assured that Obama is too intuitive to not see the Frankenstein that his presidency created, again, unwittingly. The Black men waiting at a Starbucks coffee shop in Philadelphia, Blacks holding a barbecue at a park in Oakland, Calif., Black guests leaving from an Airbnb rental in Rialto, Calif. and so on. The redundancy of the repugnant bigotry in these episodes is so mind numbing that all one needs do is mention the triggering words — sleeping, Starbucks, golfing, barbecue, Airbnb – and the rest of the information from these “while Black” stories is not required for one to know what is being discussed. This hit particularly close to home with Obama last week when Donald Trump supporter Roseanne Barr dug into her bag of racist tropes and compared long-time Obama confidante Valerie Jarret to a monkey in a tweet. Jarrett hired Obama’s wife, Michelle, twice, and they are joined at the hip. These are the unintended consequences of Obama’s legacy. While conservatives argue that Obama’s presidency signaled the death knell of racism in America and the dawning of a race-neutral union, only a fool could look at the current racial climate and suggest anything else other than to say it inflamed it. That segment of America that lost its collective mind over Obama’s election and subsequent re-election is far larger than most evolved people wanted to believe – but it is very, very real. Ask yourself, does anyone believe for a second that a Donald Trump-like candidate would have sat at the top of the Republican ticket in response to the terms of Jimmy Carter and Bill Clinton? Of course not. Because at the end of the day, these were not people they truly hated. They were, you know, white. The kinds of people calling the cops on Yale students and on the leader of a civil rights organization are popping up like roaches once the light is turned off. The truth about them, however, is that they have been emboldened. They are of the mindset that no African Americans, at least not the ones they see at the beginning of the nightly news or hear about on right-wing talk radio, can either get into or afford Yale University or belong on the greens of an exclusive country club unless they are there to caddy. According to a recent report by the Southern Poverty Law Center, a record eight white nationalists (sanitized term for racist) are running for state or federal office in November. This includes people like Arthur Jones, a former member of the American Nazi Party. Jone is running for a congressional seat in the Chicago area as a Republican. During his uncontested primary race, he picked up 20,000 votes in the March balloting. Westward, San Francisco Republican Patrick Little, who refers to Jews as “monstrous” and has said Jews “do the bidding of a foreign power that has committed terrorist attacks against this country,” is running an openly hateful campaign. 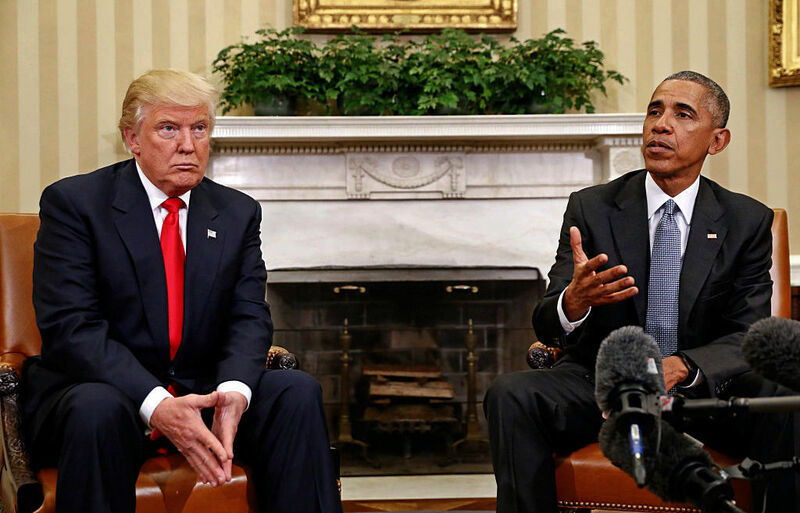 In an upcoming book, due out this month, by long-time Obama adviser Benjamin J. Rhodes, Obama is depicted as disillusioned over Donald Trump’s 2016 election. A globalist, Obama believed he was the conduit to the multicultural nation that the U.S. Census says is inevitable. By 2045, white Americans are expected to be the majority minority. Obama wrestles with this, according to Rhodes, who served as deputy national security advisor for strategic communications for Obama. He writes that the nation’s 44th and first Black president often wonders if he misjudged his own influence on American history. Today, it certainly looks that way. John N. Mitchell has worked as a journalist for more than a quarter century. He can be reached at jmitchell@phillytrib.com and Tweet at @freejohnmitchel.